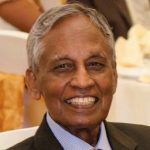 Born on 12th June 1942, having had my primary education at Hikkaduwa Sinhala School, post-primary education at Richmond College, Galle, I was admitted to University of Ceylon, Peradeniya in July 1960. As a young graduate I entered the teaching profession in May 1963 and joined the Ceylon Administrative Service (CAS) in October 1967. Starting my CAS career in Batticaloa District, I had an extremely eventful and memorable stint in the public service. I was appointed a Secretary of a Ministry, at a comparative young age of 44, after holding several responsible positions. Although many public servants may envy this, they will not be jealous for what I faced later. I experienced abruptly departure from public service in August 1996 at an unripe age of 54. When I did depart the service in 1996, it was due to upholding unwavering principles of integrity and transparency. But this experience was also for the best. Due to my employment in the private sector I was able to fund my daughter’s education in Pakistan, which I was finding difficult to do as a government employee. Today when I see her carrying out her post graduate education at the University of Oxford, I reflect that being removed from government service also brings comfort. Also, today I leave the public service with the conviction that everything happens for the best! In 1996 I left government service keeping my uncontested integrity strongly intact. This time in 2018 my departure may also seem abrupt to you. For sure many may interpret it in different ways. During the past few days social media have been discussing it thus. But my departure was discussed with His Excellency the President on 22nd of May 2018 at his office and decided. I leave today at the mature age of 76. At 76, the world is a philosophical place! Since 1996, I joined the public sector twice from the private sector – in December 2001 – as Secretary Defense and as Advisor and Governor of Eastern Province in January 2015, following as Secretary to HE the President in July 2017. The last position is the apex a public officer could reach in public service. It is a respected, sought after, esteemed position: a jewel on a crown. I have pleasant and unpleasant memories of my tenure. I will not discuss the unpleasant memories. Some of such memories encouraged me to leave public service and signaled me that the time has come for me to leave the Secretariat and the exalted position. My thankful gratitude goes to two private sector organizations that gave me shelter when I needed it most- the Resources Development Consultants Ltd (for 5 years plus) and Japan International Cooperation Agency , Sri Lanka Office (for 11 years). For a mere clerk’s son, without any political, social or ancestral ties, to reach the apex position in public service proves that Sri Lanka is a country of opportunity, if one has perseverance, efficiency and integrity. I have done my part with total integrity, impartially, without malice towards anyone, even when I had been ill-treated, misunderstood, penalized, slandered etc. Tomorrow the same slandering, defame and insults will begin. But I shall remove them from my heart with a smile, reflecting that this is the nature of the world. Since I have no ill earned assets from irregular means I need not be scared of the FCID. I am not scared too. I have not been part to murder, torture, disappearances or wrongful punishment of any person and hence I do not fear of being hauled before the International Criminal Court in The Hague. Tomorrow, I can walk on any street anywhere without security personnel surrounding me. Even in the times I was provided a large number of security personnel, I used them to the minimal. I am a free man with a free conscience. I have had my share of ups and downs in my public service career. They remind me of a statement by the Indian business tycoon Ratan Tata. He said “Ups and downs in life are very important to keep us going, because a straight line even in an ECG means we are not alive.” I always led a life full of vigor and at the age of 76 went on to work late hours, carried on with long meetings, working for ten or twelve hours and continued at home too when there was an overflow of files from office. Presidential Security Division will bear evidence that every day I was the last to leave office. The delay of a file in my room would have been always less than 24 hours. If there were delays those were connected to payment of public monies because I was the Chief Accounting Officer of this Secretariat. I engaged in difficult tasks related to reconciliation related constructive actions by this government. I was a Co-Chair of the team that prepared the concept paper and an outline of the draft legislation for the creation of the Office of the Missing Persons. I chaired the Working Group that drafted the concept paper and an outline of the draft legislation for the Reparation Mechanism. I contributed to the Sub Committee where preparatory work was done for the Parliamentary Steering Committee in formulating a new Constitution for Sri Lanka. I am a great believer of reconciliation, democracy and good governance and this was the reason why I committed for such endeavors. When I leave public life today after 55 years since joining the teaching profession I have to appreciate many ‘greats’ such as EF Dias Abeysinghe, DBIPS Sirivardhane, Dharmasiri Peiris, Bradman Weerakoon, Shelton Wanasinghe, Baku Mahadeva and political authorities with who I worked such as Minister Gamani Jayasuriya, Ratne Deshapriya, JR Jayewardene, R Premadasa, DB Wijetunga. Let me begin from the ‘minor employees’, lower, middle and non-executive grades of officers and others who stood with me through thick and thin throughout my career and sacrificed to my standing here today. Whether they are here or not, I thank them all. There were executive grade officials of various disciplines and services other than the Sri Lanka Administrative Service officers who gave their fullest to me. I thank them. The Administrative Service knows that I did my best to uplift their professional conditions. In fact, I took the lead to arrange for the monthly allowance of Rs. 50 000 rupees for Cabinet Level Secretaries. Along with the Secretary of the Ministry of Justice, I did the same to the support of Hon Attorney General and Hon Chief Justice. Hon Chief Justice and Hon Attorney General are the best witnesses for me. If any other services requested such facility I would have assisted them as well. Throughout my career I have worked with non-governmental organizations- local and international, diplomats, civil society groups, trade unions and Associations, media organizations, religious dignitaries at the highest and local levels and their institutions, legal personnel at various levels inclusive of the Hon Chief Justice and Judges of the Superior Courts, Hon Attorney General, Independent Commissions etc. I am thankful to all of them for having given me their best professional support when I needed it most. I thank them. I have actively engaged in political activities during my youth. When I was climbing the ladder in the public service I started disconnecting myself from party politics. It was because I was not entitled to political rights after joining Ceylon Administrative Service. Thereafter I preferred to select the best political personality than being attached to a political ideology. I could therefore avoid being attached to political ideologies. I was acceptable to anyone and so much so I could be the Secretary Defense in a United National Party (UNP) led government in 2001 and the Secretary to the President in 2017, led by the main political rival of the UNP. My then engagement with the UNP Government has provoked interpretation of my current political leanings by some fake hangers-on, even after I took office as Secretary to the President. If the critics had read my book “My Belly is White” and believe what I have said regarding my being appointed as the Secretary Defense, they would clearly understand the invalidity of such comments. Similarly, some have been commenting of my alignment to the Sri Lanka Freedom Party because I have been appointed to my incumbent position by the President of the SLFP. The President is the best witness to what happened. I have my great respect to the President and Prime Minister, but I am not a political acolyte of their political parties. I have associated the President and the Prime Minister for 43 and 30 years respectively as a friend of the country with a truthful, independent voice. When they were fighting for peace, reconciliation, good governance and social justice through their politics, I had been helpful in their processes. When they were not in power there were no large crowds that you see today at their residences and offices. Some of those gathered are the very people who were their bitter opponents. They were enjoying exclusive posts and many worldly comforts locally and abroad. When I started working as an executive grade public service officer I kept aloof from politics, like a swan that separate milk from water because I could separate politics from administration! This has invited vitriolic criticism of me being called a retrograde by those who did not understand the dynamics of governance without political servitude. In my public service career I have developed a rapport with party stalwarts from almost all political parties and they too looked up to me for clarifications on political issues. My heart is broader than politics. My concern was whether something I was about to do or say was good for my country; whether it was the just thing for all communities; whether it would build peace and serenity; whether it would enhance love and compassion to all; whether it was environmentally friendly. In my life, my conscience and my service to my country have always been more important to me than individual politicians and political power. Remember, the State is a bigger and greater concept than of a Government. I consider that our motto in public service should be not to venerate the wrong with bent knees, but to make truth, Rule of Law, accountability and transparency venerated and worshipped. Two of the scourges of public service are the preference for seniority and political patronage. These scourges frustrate efficient, effective and productive officers with potential to serve the country better. There are fake hangers around politicians. They are a nuisance to politicians as well as to the bureaucracy. This is observed at all political and administrative levels. They have their personal or political agenda and try to put the politicians and bureaucrats to their own groove of thinking. What should be done is to cut off these fake intruders for reasons, and not cut real people for fake reasons. It is those who protect fake hangers on and the institutions themselves that will suffer because of it. In dealing with fake people I had a policy. It was to be blunt as possible. I know that sometimes I have hurt their feelings by being so. I consider it as strength but one may consider it as a weakness. But at the age of 76 since I will live for short time duration I am unprepared to give up this life style! Let me be the authentic Austin Fernando! It is because I am a free man. 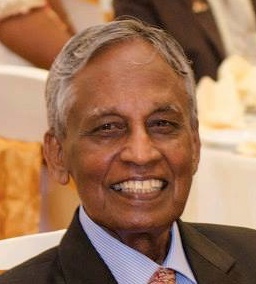 Former Indian Elections Commissioner T.N. Sheshan in his book “Degeneration of India” names Politicians, ‘Unpublic Service’, Judiciary and Media as the four factors for India’s degeneration. If you assume Sri Lanka’s public service as ‘unpublic’, then considering the criticisms on the other three components, I feel that at least if the public service is not empowered Sri Lanka’s degeneration will be inevitable. It will be difficult to achieve if politicians, public service leadership, law enforcers, judiciary, media and civil society do not individually and severally shoulder the reformation process with vigor. In 2015 I accepted the position of Advisor to the President on the request of His Excellency. I accepted the post of Governor Eastern Province on the recommendation of the Prime Minister Ranil Wickremesinghe and the gratitude of the President. While functioning as the Governor, I continued to advice the President as an honorary service. On 30th April 2017 having evaded his request several times I gave in to the repeated request of His Excellency and conceded to being appointed President’s Secretary. The authenticity of this claim is well known by Mr. WJS Karunaratna and Mrs. Anuradha Jayawickrama. When I took up this job it was my intention to leave within a year or so, since it should be taken over by a younger person for grand running, sustainability, and to speedy performance. I am happy that circumstances have made it possible for me to leave today voluntarily to keep to my original intention. I felt that external unqualified persons searching a replacement for me were unethical. It did not please me. This accelerated the execution of my original intention. All the positions we hold are like costumes of a dance. Once the dance is finished the dancers remove their costumes and wear the new costume for the new dance. I remove my costume happily while hearing the echo of happy laughter in the background of those who are happier than I. But remember, “The one who laughs last laughs best”. I do not know who will have the last laugh. I am matured enough to have successfully forgiven persons, who during my long service tenure planned, executed and manipulated to cut grass under my feet, and slung mud at me and those who would do in the future. My mind is not a dustbin to dump anger and hatred. I consider it a sandalwood treasure box to keep, love happiness and sweet memories. I think all of you will endorse that I did not keep anger, hatred and was not jealous of anyone. I always strived to treat you with love and respect without exception and reservation to keep happiness power lies in your ability to give it up. Some may wonder with only several months left to the end of the term of Presidency, why I have not simply managed and hung on to this powerful position. But, as there is a fair amount of young people with long careers ahead of them gathered here today let me humbly share with you a word of wisdom. There is no inherent power in power. If there were an inherent power in power, you cannot oust those with power. The true power of power- whether it is personal, professional or political- comes with your ability to give up that power. The strength that renouncement of power gives you is unmatched by any other force. The Buddha taught us this lesson 2500 years ago. It is something important that public servants and politicians alike should reflect on. I thank my parents, teachers, clergy who helped me to come this long way. I thank the colleagues from the public and private sectors, politicians, my friends who loved me unconditionally. My friends gave me strength when I needed. They consoled me with humor when I was depressed with pain of mind. I thank my family, especially my wife who bore my semi-public life reluctantly with enormous grace, silence and great patience. I thank my emotionally resilient and persevering children who have shared the ups and downs of my journey with philosophical grace. I thank my innocent grandchildren who missed my personal attention on them. This is their time. There is nothing, no person, no position, no comfort, no luxury, no hope that I cannot give up. I do not have great aspirations. I know very well what suffering is. I also know well what luxurious comfort is. If I saw something beautiful I have directly appreciated it. This is well known by those who associated me closely. I have associated kings and paupers. I have wept at the sight of mass murders at Aranthalawa, Aluth Oya or Pettah Bus Stand. I have sung and danced in happy times in all style. Even today it is like that. Tomorrow I will be the same. But I prefer the smell of sweat of the poor in a camp in Kilinochchi or Sampur than the smell of perfume in Colombo 7 or Paris. This has been conditioned by my boiling experiences in public service. Therefore, today when I leave public service and I can lead a normal life. I refrained from writing during the last three years. On the average I used to write about two quality articles in Sinhalese and English for a month. There are things boiling in my mind. I did not write because my hands were bonded by public service rules. From today onwards I am relieved from those bonds. I have kindling hopes regarding what is in my mind regarding public service, politics etc. which could be written or spoken of. I believe that I should share with the society my ideas regarding Sri Lankan political, social, and reconciliation issues. However, I have for posterity stored in my mind lessons I have learnt for those in public service for sharing. I have thought of at least sharing some, if not all. To achieve this before I die I must have leisure. The position of Secretary to the President does not fit for such activity. Though I could complete 250 pages of my memoirs by 2017, I could write about 10 pages for the year in office. I can start the activity now. I will start early, writing the experiences of last year. Due to all these I thank the greats who accelerated my departure speedily. I pay a voluminous load of gratitude to them. Recently at a meeting here in the Secretariat a person stated that if one keeps the ear to the ground what we will hear will shake our hearts. At that moment I thought that it is easier to hear the echo of truth by keeping your hand on the heart than to keep the ear to the ground. Whether I keep my ear to the ground or my hand to my heart, I’m sure I will not hear any echo that would shake my heart. I can stay unshaken. However, echo- or-no echo, there was one sight at the twilight of my public service (as a Governor) that echoes in my mind. That was connected to my friend Lalith Weeratunga. As most of you know him personally, what I’m about to say will forever entwined in the lives of most of us. Therefore, I must mention it. Because almost all of you are younger than I, I believe that this experience will serve you right in your future. Following the verdict of the “Sil Redi” court case you would have seen him being escorted to Welikada Prison. He was walking with a brave face, but helpless, most certainly with the crushed spirit. With all due respect and apologies to the judiciary, in my firm belief then and now, I wonder whether he should be the real culprit. Those who ordered him and the fake hangers on were not seen on that day. The only person who was with him was my long standing dear friend, his wife, Indrani. Whether it is public service or serving the community, when we are depressed due to an unreal, unfortunate, untruthful situation, this incident resonates that it is only our spouses and children are there to stand with us. Let this be a Mantra which you should internalize and repeat every day. I say Good Bye to you completing over fifty years in public service and the private sector wishing you the very best and victories in all endeavors in your personal and professional lives. My heart and my home are both open for your joys, success and sorrow. I will say the following words for you to strongly carve in your hearts: The greatest inheritance you can leave to your children is your honesty, lawfulness, respect and true love to humanity. There is no jewel more precious than true respect for humanity and true love for humanity. Protect this jewel, forsaking your life. As Governor of the Eastern Province, and as President’s Secretary, for the last three and a half years, you have won my special appreciation as officers, friends and colleagues. Always please remember that you were my children, brothers and sisters. It would be a great oversight if I don’t speak a few words about His Excellency the President. I have known him for the last 43 years. He was a young man full of personality like now. All these years we have had deep mutual love, affection, friendship, trust and personal bond. On 18th November 2014 at his Wijerama Mawatha Residence he confided in me that he was going to make a dangerous political leap. I explained to him the dangers that can befall on him and his family and inquired whether he was willing to face the risks. He said “Yes”. Then I patted him on his shoulder and told him “In that event I will also take the same path with you”. I still remember the glitter in his eyes and the smile he had on his face. Since he is the President now, I no longer pat his shoulder, but my affection to him is unchanged, even by an iota. I always extended to him the same mutual love, affection, friendship, trust and commitment as previously. With passage of time, with his rise to the pinnacle of political life, I believe our relationship had to be evolved accordingly. New associations happen then. When one becomes a Head of State priorities change. Therefore, if I could not adjust myself to politics because I am not a politician and inconvenienced him, I regret. When an older person errs, many times we forgive and forget such happening by an elder. I hope he would extend the same courtesy to me. I must also make special mention on Mrs. Jayanthi Sirisena whom I knew for long years. During my tenure as Governor or President Secretary she never made a single request for any special privilege or comfort. I can say without any fear that she is a great example of splitting family institution from political authority. I say this will be an honor bestowed on her and the President. She will be a guiding light to other political authorities. I wish the best of joy, health and prosperity to the President, First Lady and the family. Unfortunately or unintentionally if I have been harsh to anyone of you please forgive me. If I have hurt your feelings, forgive me. None of that has been intentional, but situational. When you meet me on the road in the future, speak to me; smile with me; chat with me. I only expect that friendship from you. If anyone of you made a mistake I have taken full responsibility for it and shielded you from any official authority, inclusive of the President. This is because I considered you to be my children. Without my protection you would have been orphans. I hope my successor will protect you the same way. I wish the President whom I have associated for a long time, my longtime friends Presidential Advisors WJS Karunaratna, Sarath Rajapathirana, Thilak Ranaviraja, the officials of the Secretariat, personal staff of the President led by Eric Weerawardhana and the family of the President will all support the new Presidents Secretary as they have supported me. Thank you all very much. May the Noble Triple Gem bless you. May God bless you. May you have health, good luck, happiness and prosperity in abundance! *The farewell speech given today (5th July 2018) at he Presidential Secretariat by Secretary to the President Austin Fernando, after President Maithripala Srisena accepted his (Fernando’s) letter of resignation handed over on the 11th of June. Sri Lanka is weird; you joined and rose to the highest position in public service after an excellent university education, competitive exams, and hard work and dedication with unparalleled integrity. One time, you became the Secretary of Defence. In the same country, how did an uneducated GoTa (Gotler), known murderer, and one time coolie in US Gas Station end up being the Secretary of Defence? Wanni Aththo, Thanks for well-timed advice, I am on my way to see a Neurologist. Because gory apparitions of an emerging Gotler (GoTa) constantly disturb me. I cannot resist the feeling of agony from countless victims of GoTa’s killing machines – I see pathetic cries of Lasantha, Ekneligoda, Rathupusselawa victims, Thajudeen, over 500 youth buried in Matale Mass Grave, Victims of Welikada Prison Massacre, over 40,000 Sinhala and Tamil civilians during the Ethnic war. Surely not only I. but you too see a psychiatrist to ascertain how callous you are to be so blind to this reality. I would love to read Austin’s long farewell note. Got to do my laundry first though. Mr. Austin Fernando: While reading through, what is published here, I picked up two comments made by you. (1) ” I have pleasant and unpleasant memories of my present tenure . I will not discuss the unpleasant memories” (2) ” I am happy that circumstances have made it possible for me to leave today to keep to my original intentions, though certain intruding factors such as unqualified persons looking for a replacement while I was in office have hastened the process”. Thank you for being so honest, at least by default, ( “not to discuss unpleasant memories”) telling us the “Rock Solid TRUTH” of STINKING and CORRUPTED , administrative set up at the very top level of Governance of the State. As, we have seen over the years passed , these self seeking “Intruders” (both political and bureaucratic ) have completely ruined the public service even beyond correction. You have spoken all the good and had, yet given us , an alarming signal of what is going on and what future holds for us. As regards that “Sil Redi” case you mentioned, I differ with you. A man of that stature (Secretary to the President) should have had the “Strength”, “Character” and “Judgement” to say NO. He knew what type of a “Monster” Head of a State he was dealing with and as you said, what types of “Hangs On” (the Goons) hovering around the whole machinery of Governance. Did he expect that man he was serving to be that “Honorable” or “Dignified” in giving any defense to him? If he did, he should never have held that position. You may say “it is easy to say than done”. No it is not so. I am telling that with my , such successful experience in Public Service. Leaving all that aside, I earnestly request you to give your “Know How” to the “Young” waiting out there to serve this country and I wish all the health and stamina to be within you to dish out that generously for the good of this country. Although I haven’t and wouldn’t give a can of baked beans to Lanka ………. like you, my “ancestors” have contributed in their own fields – Medicine, Engineering and Science – more than all the Rajapakses and Ranils/Siresenas put together …….. by no means they were the only ones ……….. and there were many of all races/ethnicities …………that’s why my comments will never play down racial/ethnic lines ………..
Let me take this opportunity to thank you for your service to the nation and to wish you Godspeed and your family the best. Thieves hellbent on dividing this country congrtulate each other for their failed efforts! To hell in a hand basket please. Man, you must be one frustrated dude! The guy who was instrumental in the great betrayal in 2002, almost came close to writing off north to the LTTE. Mr Fernando, You should now contact Erik Solheim. He might offer you a UN position related to climate change, in return for your enabling of his ‘plan’ to set up a separate state in Sri Lanka. So the fun never ends Mr Fernando. A Un contract will help your daughter complete her postgraduate degree at Oxford without any money worries. We will pull the load! Austin, best wishes for a happy retirement. A lovely farewell speech which has heightened the respect and integrity that you have always displayed. So sad that the ideals and ethics of the public service that gentlemen like you embraced and nurtured have so quickly been consigned to the garbage bins by the political appointees and interference of all our crooked politicians, who can rightly be described as the scum of the earth. The values and integrity that your speech emphasises have evaporated into the cesspits of the nation which has been filled with the stinking excesses of greed and power by the politicians, especially of the last regime. Your comments on Lalth Weeratunge say it all. While Lalith deserved the punishment that was given to him by the courts for not standing up to his president, it is so ridiculous and a reflection of the incompetence and corruption of our law enforcement authorities that the crooked, greedy, unethical, downright savage family that was in total power have yet to be arrested for abuse of power and fraud and misappropriation. These crooks robbed the country blind and are now a threat to the democracy and good governance initiatives that the present government is trying to re-establish. Austin, we are looking forward to reading your columns again as I am certain that they reflect accuracy and non political bias unlike the stupid, biased and false articles that appear regularly on CT like DJ, MS, Cabraal, GLP (proxies for MR who is incapable of writing ) except Shyamon and Vishna and Kishali. whose articles are balanced, factual and intellectual. CT, please stop giving prominence to Vijayakala, your website is going down the hill and we cannot understand why the hell you need to publish any articles by the rejects like MR and group who no longer are in power. Be philosophical now and write more on the inner workings of the state and government, where they are heading, failures and future prospects. Why do our leaders fail the people and then want their votes again and again? Enjoy time with grandchildren too! Best wishes for a Happy retirement, many more years of a blessed life with family, friends and countrymen. May this beloved Motherland of ours be blessed with intellectuals like you to serve the Public Service and the State and Semi-State sectors. Cheers for for the farewell speech well said. You have been very transparent on your memoirs from you childhood days up to the time of leaving the position of secretary to the Hon. President. You have stated that the greatest asset a person can posses or earn is to be honest, lawful and to have respect for the human beings, which qualities you espouse. You have done great service to the nation during your long years of service in the state as well as outside of it. It is very commendable. I believe that you can still do useful service to the nation in a chosen capacity. Best wishes.